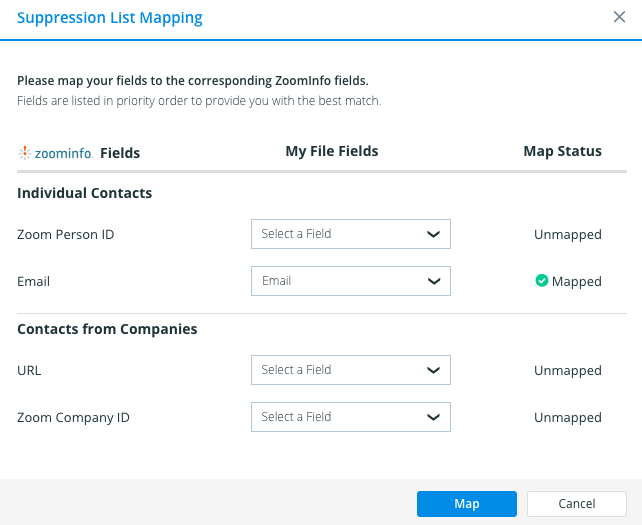 Suppression Lists are lists of contacts that you already have, whether it's previously purchased lists or a list you pulled from your database, that can be removed from your list building results within ZoomInfo. 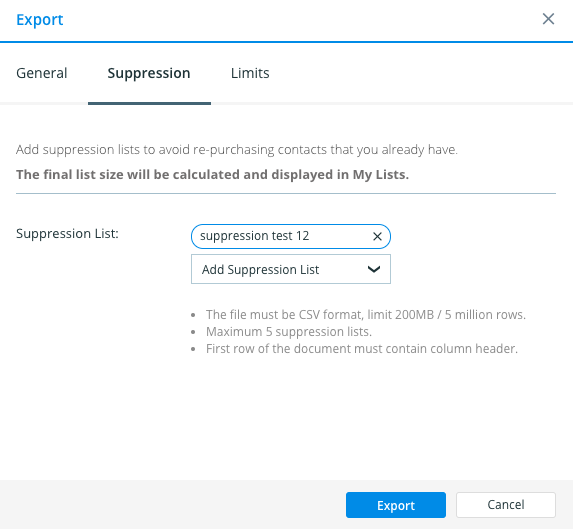 They can be uploaded in the Excel export workflows within Contact Search, Company Search, and Target Accounts to avoid re-purchasing contacts. Pro Tip: If you're exporting your entire database into Excel and it's more than 1 million contacts, try splitting up the database into files with no more than 1 million contacts each as Excel has limitations that could cause formatting issues. For further information on these limitations, please visit Excel's specifications and limits article. Your list will now be applied (to remove click the 'X') with the option to add and map additional suppression lists.